My daughter loved wearing this costume. 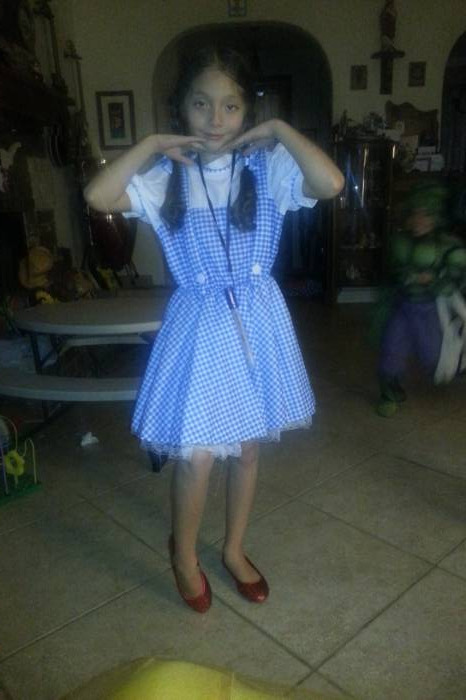 She loved being Dorothy and received a lot of compliments. Quality is great and will last a long time. Costume was sooooo on point!!!! 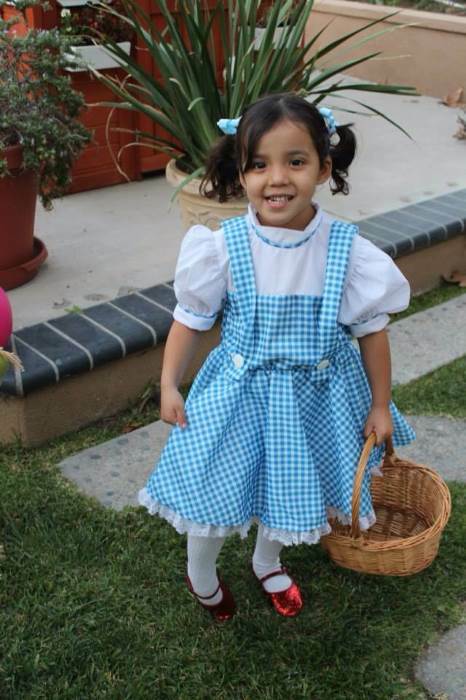 People loved my daughter in that Dorothy costume. It was a hit. 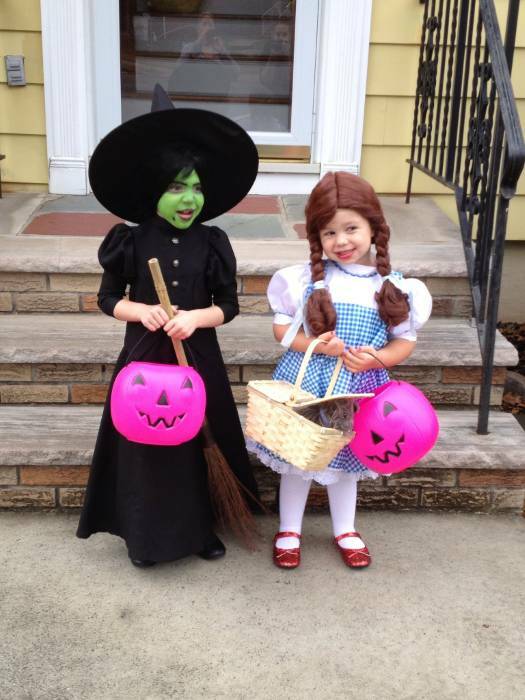 Her and her sister (the Wicked Witch) won 1st place in a costume contest! The child's size large costume, 10-12, is huge! It is supposed to fit an 8-10 year old child but it fit me. I'm an adult, 5'3" and weigh 115 lbs. I then ordered the size medium and it was very small. I ended up having to pay $20.00 to have the large taken up to fit my 11 year old granddaughter. Very disappointed in the size. Gail I'm so sorry once again about the sizing on these. I remember speaking with you the other day and we were able to resolve the issues for you, and hopefully your granddaughter has a wonderful time at the upcoming event! Cute but runs wide and not true to size. My daughter is small for her age and her size in this dress is too short. 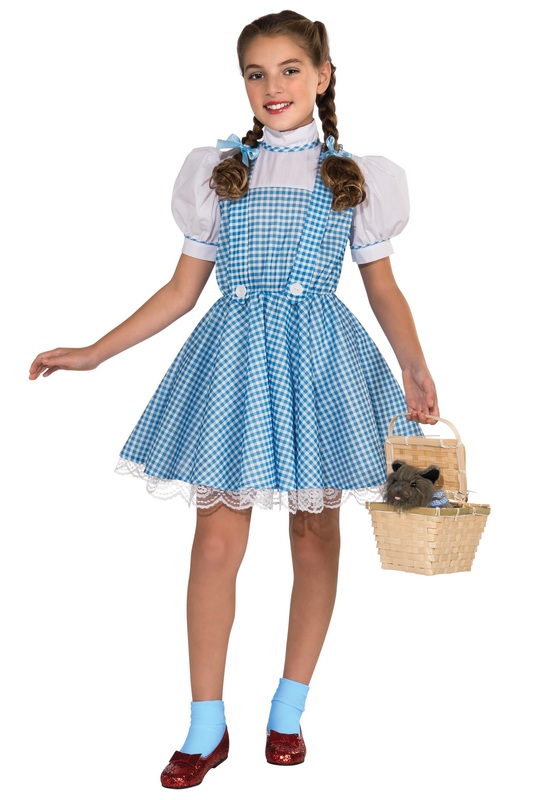 Costumes are not typically made this well, with zippers and full petticoats. We were very surprised and pleased! We got the Toto in a basket too, and both the basket and the dog are well made and separate from one another, which will be useful to us as the play is staged.